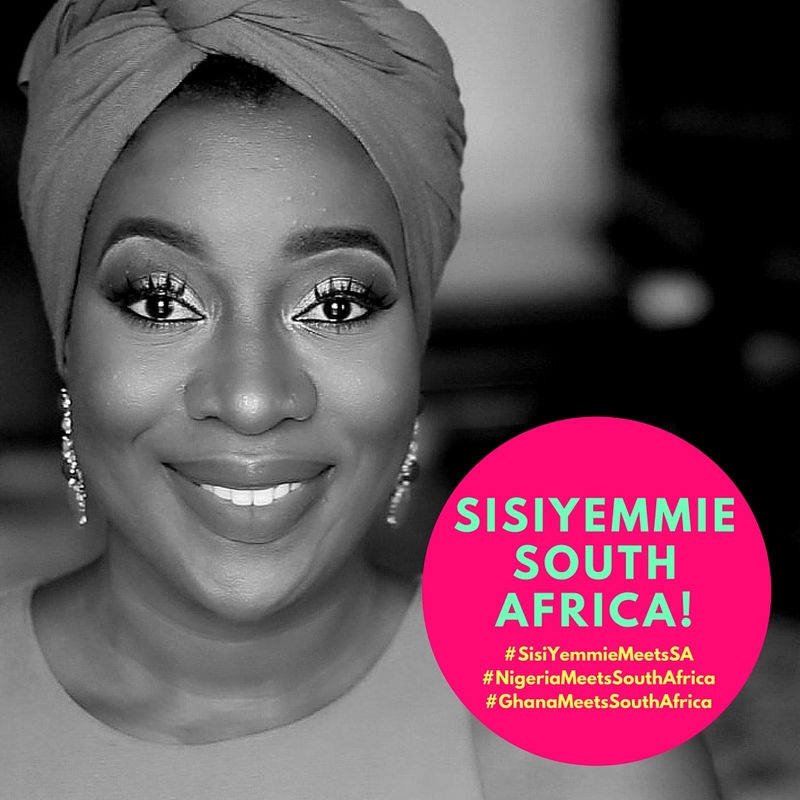 #SisiYemmieTakesSA: SISIYEMMIE IS COMING TO SOUTH AFRICA! Ill be going to the Vodacom Durban July 2016-one of the biggest fashion events in South Africa, Ushaka Marine World and Gateway Shopping Mall are on my TO-DO list. I'll also be visiting historical places like The Mandela Capture Site and my first trip on a Hot-Air Balloon. I know you're asking, Sisi where is Tito and Bobo...erm, I left them at home. I've been so teary and the goodbye was emotional. Tito looked confused as they left me at the departure lounge and I waved good bye. I've been worried about how he's going to cope, especially as I am still breastfeeding. The nights may be tough, lets see how it goes. I hope to continue being breast friends with him when I return oh. Sigh... this is hard! However, mommy is off to South Africa so follow me on snapchat @sisiyemmie and on instagram @sisi_yemmie so that you see all that I'll be doing oh. Are you thinking what I'm thinking? Sisi Weekly will be LIT this week! Do I have South African resident readers in the house? Come say HELLO! Tell me what should be on my TO-DO list in SA! Wow wow!! Congratulations! Travel scene for you. South Africa is on my travel wish list. Enjoy and show us your adventure. Big Congratulations to you Sisi Yemmie. I wish you journey mercies and I hope you enjoy your stay in Durban. It's truly a fantastic holiday destination with nice weather. 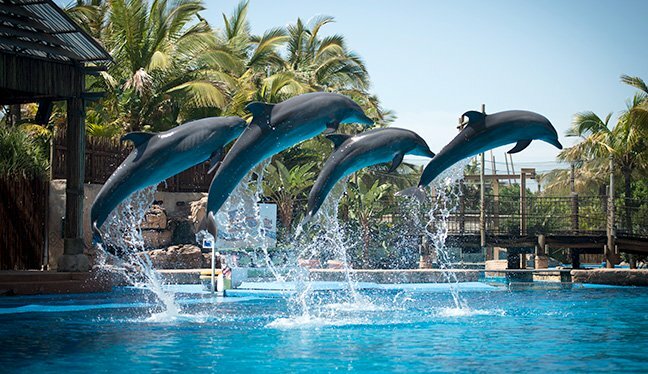 Don't forget to tour the wrecked ship in Ushaka Marine World! LOL. Enjoy ma'am! Awww I'm so happy for you, Sisi! Please pump or squeeze your breasts regularly so your supply won't decline when you get back home to Tito. Have a great time! I'm so looking forward to the Sisi Weekly showing you in SA. Congrats Sisi Yemmie,have been following ur blog and i must say you have awesome contents,this is my first time of commenting though.I do hope you will enjoy SA BCOS I did when i went there last year.Its a beautiful place to visit,bring back goodies for we ur fans oooo,cant wait for the next sisi weekly. Hi Sisi Yemmie, I'm so excited for you. I'm in Botswana and I will be coming to SA next weekend I so bummed that i don't get to meet you. I love you so much and I want to thank you for Inspiring me to finally start making fragrance related videos in YouTube as well as working in launching my Fragrance Blog soon. HAVE A BLAST IN SA. I remember that not too long ago you mentioned on one of your blog that if there is anyone I SA that wants to make bring you over they should make it happen because you would love to go to SA and know its reality. Hi Sisiyemmie, Congrats on your trip to SA. I was in SA mid june and it was COLD!!!!. Oh boy, for a naija babe like me used to better sun, it was not funny at all. But, I survived. I was in Jo'burg for a training, so I could only visit sandton mall because of the limited time we had. If you visit Jo'burg, and go to sandton mall, look out for the Mandela Stature, quite impressive. Above all have fun, and may our Faithful God continue to bless your hustle. congrat sisi, safe trip as u journey.more greater heights....Tito is definitely going to miss mummy. Congratulations Sisi Yemmie, do enjoy your trip. Levels don change! GO GURL!!!!!!!!! Massive Congrats !!!!!!! Sisi I am so happy for you. I can imagine how emotional you must have felt same thing happened to me first time I left my baby when he was 11+ months. I do hope you have a fantastic time, anyway I am sure you will. Looking forward to you sharing your experiences with us. Tito will miss you so much. South Africa is on my list of places to visit. Have fun and yes sisi weekly will be Lit. I can imagine what was going through his mind.Tito will definitely miss mum.This is a good time to wean him. Awww, poor tito. But mommy deserves some down time so have fun ok?